Just read an article in Time Magazine making a balanced argument regarding whether this heat wave in Eastern North America is climate change. PLEASE people, its climate change, OK? Yes, there is the most recent headlines regarding some dutch scientists who juiced some data on sea level rise in Holland (they reported that 55 percent of the Netherlands is below sea level, when its only 26 percent). In their defense, scientists are scared s#itless of about what’s going on as much as anyone else. They goofed. It doesn’t discount the REAMS of data suggesting otherwise. I digress. Maybe humor will get people to buy in. The place to go for that … the Onion. Purchase a Celsius thermometer to enjoy summer temperatures that rarely exceed 35 degrees. Grow a coat of dense fur. While this may sound far-fetched, the fur will actually insulate your skin and protect it from the heat. The yellow face, it burns us. 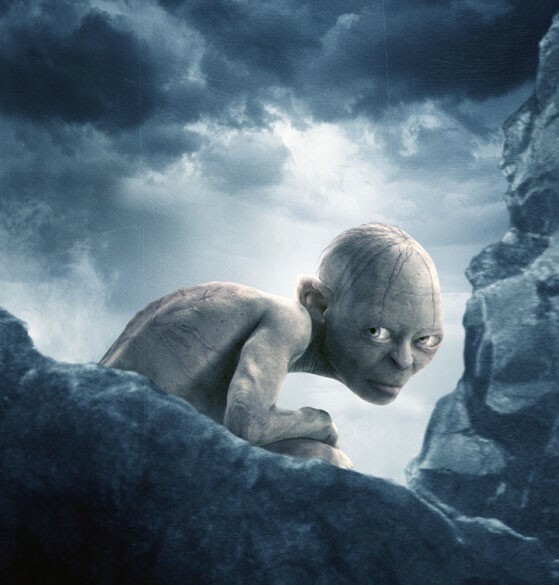 Stay in your dank cave and guard your precious. Seal all doors and windows, then flood your home with refreshing Lipton iced tea. Stephen King’s The Tommyknockers will chill you to the very bone. If you leave pets in the car with the windows rolled up, be sure to stop by the parking lot every 30 minutes or so to baste them. Remember: Heat rises. Fall into a deep well. Put out any fires in your home to reduce heat. Under no circumstances should you pay heed to emergency requests from power companies to limit air-conditioner use. Run your air conditioner at full blast until you brown out the entire region. Keep your dentures, hip brace, diapers and wig in the freezer when not in use. Heat is a manifestation of infrared radiation, the low-frequency part of the electromagnetic spectrum that is emitted by aliens. To prevent exposure to these Venusian mind-control waves, wrap head in tinfoil. Keep cool with delicious Frosty Fritz-brand frozen ice-cream treats. Avoid “hot” programming like Cinemax After Dark.